Considering the teachers who want to innovate and refresh the educational content of their classes on IoT programming and development, Libelium launches a special offer that includes all the material needed to equip the laboratory and all the content to start a full course. The offer includes a complete guide for the teacher to plan different exercises for students. The exercises cover a wide range of knowledge about Waspmote such as LED configuration, motion detection or accelerometer management. With the Waspmote University Kit, teachers and students can access to an exclusive list of video tutorials to get extra information and to follow the hands on practices. Everything with a special price only available for educational institutions. Teachers from Universities and IT Schools to improve the students' skills to be the future IoT workforce. Complete guide for the teacher with solved exercises. Includes the guides for the student and for the teacher with all the practices and their solutions. 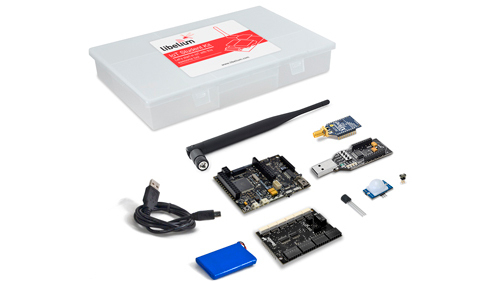 The Waspmote University Kit contains everything you need to start programming with Waspmote.